In a new twist to the Jet-Etihad saga, the Securities and Exchange Board of India (Sebi) has served a notice on Etihad Airways for alleged violation of the takeover code regulations while acquiring 24 per cent stake in Jet Airways. Sources close to the development say the Abu Dhabi-based airline, in its reply, will have to address the issues raised by the market regulator, failing which it will have to make an offer to buy the entire 25 per cent public holding in Jet through an open offer. The notice was issued to Etihad earlier this week by Sebi, according to the sources. 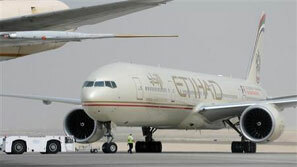 Etihad, Sebi and Jet Airways did not respond to an email query on the issue. According to Sebi’s takeover code regulations, an open offer is triggered in multiple ways, including when an entity acquires 25 per cent stake in a listed firm and/or if it acquires ‘control’ over it. In this case, Sebi could have initiated enforcement proceedings based on a view that the Abu Dhabi-based carrier was gaining control over the Indian carrier. “The deal initially went to Sebi, which had sanitised the contract agreements to ensure there was no control-related issue and based on that it had given the go-ahead. One has to see whether the assessment by the Competition Commission of India has made Sebi rethink or is it that they now see that the element of control still operates and, hence, they see an open offer trigger,” says Ramesh Vaidyanathan, managing partner, Advaya Legal. FDI norms allow a foreign airline to hold up to 49 per cent stake in a domestic airline. Etihad has secured Foreign Investment Promotion Board (FIPB) approval to purchase 24 per cent equity stake in Jet Airways. In case Sebi passes an order requiring Etihad to make an open offer, it will have to approach the FIPB again for acquiring additional shares. The additional shares acquired through the open offer will take the promoter holding in Jet Airways beyond 75 per cent, the maximum a promoter can hold in a listed firm. Currently, Jet, which has 51 per cent stake, together with Etihad owns 75 per cent in the company. Shares of Jet are currently trading at Rs 216, nearly 70 per cent lower than Etihad’s acquisition price of Rs 754.7. "If after an open offer, the promoters' holding exceeds the 75 per cent limit, then they will again have to bring it below 75 per cent within a year,” says R S Loona, managing partner, Alliance Corporate Lawyers, a corporate law firm. Loona says the issuance of a showcause notice doesn't necessarily mean that Sebi will issue an adverse order. “If the noticee is able to explain why further Sebi action is not called for as the acquisition was within the rules, Sebi may not issue further directions,” he says. Interestingly, Sebi, in a communication to the ministry of finance in September, had stated that the agreement between Jet and Etihad did not result in change of control and, hence, would not attract takeover code provisions. However, the market regulator had put a caveat stating that if any other regulator took the view that Etihad was acquiring control over Jet, the two entities would be deemed as persons acting in concert. Sebi's latest action could possibly be guided by CCI observations on the deal, which had stated that the two entities were gaining 'joint control'.